Thanks to Circa London and Antony Botha in particular, despite some issues (through no fault of his own) he has been very professional throughout and helped us immensely to find a solution to get the deal over the line. Great service overall! Circa London was perfect for my first time renting in the UK ! Smooth procedure and lot of understanding. Kasia (property manager) was always there when we needed her, always did her job perfectly ! Will surely be back with CIRCA next time in London. I was really impressed by Circa's professionalism and we would especially like to thank Manuela for all her efforts in making the deal happen and for streamlining the process. It was a real pleasure working with Circa. 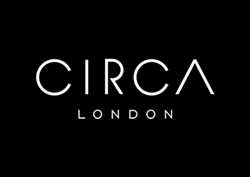 Circa is different and much better than most other estate agents. Manuela did not hesitate to take the initiative to contact the different parties involved in the transaction to streamline the process. The service was efficient and satisfactory overall. We would probably like to use Circa again in the future.